Writing Examples. Academic Paragraph Writing in English. My First Day at University. Here is an example of What is a Good Job? Click on the image to see a larger picture. The writing is short, but to the point. It is effective and answers the question. The writer seems to love music too! Here are the writing examples of The Best Gift and Songkran. Click on the images to see larger pictures. The Best Gift has a clear strong topic sentence. 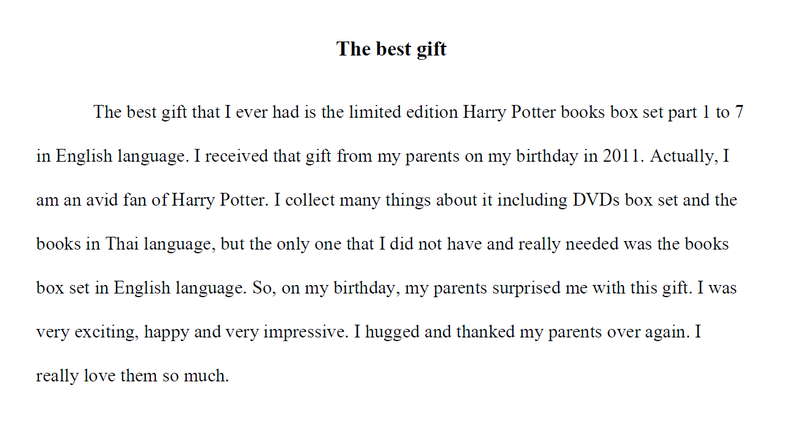 The supporting sentences explain why the Harry Potter Book box set was the best gift. It is a good piece of writing. 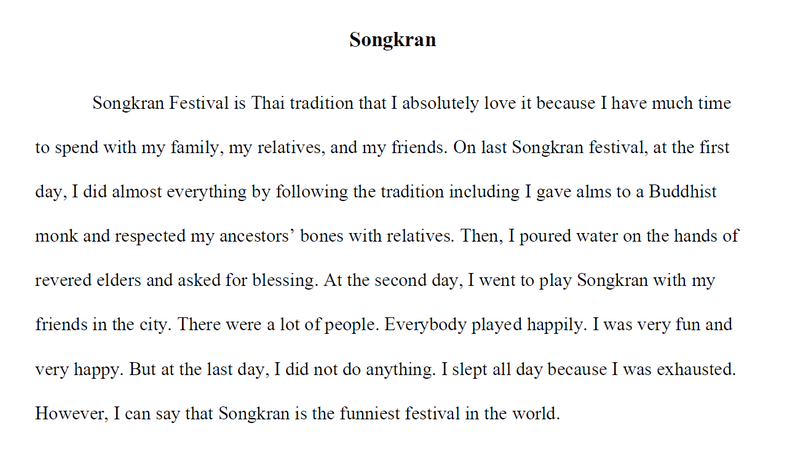 Songkran has an OK topic sentence and the supporting sentences explain the topic. The grammar errors do not stop understanding. Choose two different places. Brainstorm and plan by making a list about each of them and editing it. Then write a paragraph about both of them. Including a picture completes the assignment. The writing examples here are for My Office. Click on the images to see larger pictures. Unit three is where students learn about brainstorming and planning. In unit three this is done by making a list. 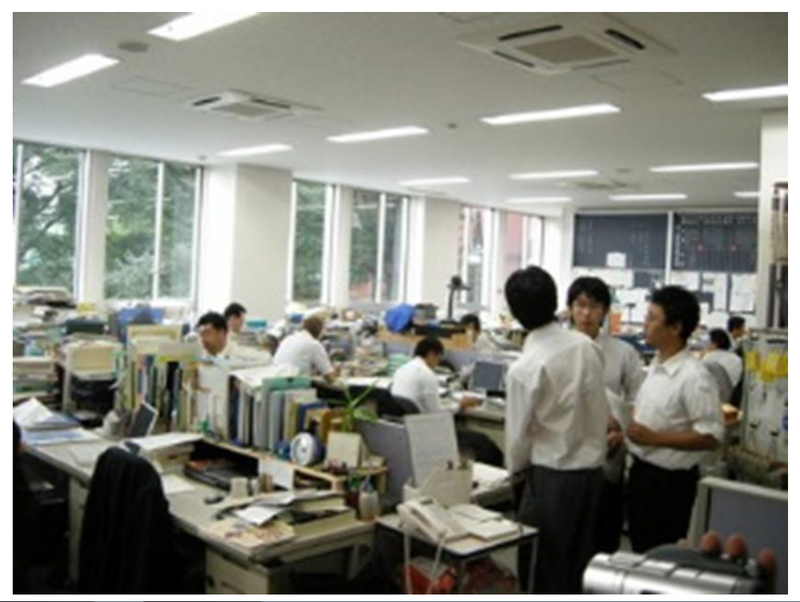 These examples are a picture of an office, an edited list and a paragraph. When describing anything we use our five senses. My Office uses the senses of sight and sound. These fit with the picture. We also use senses when describing scientific experiments, in marketing and in PR as well as more creative and general writing. Choose two different people, one you like and one you hate. 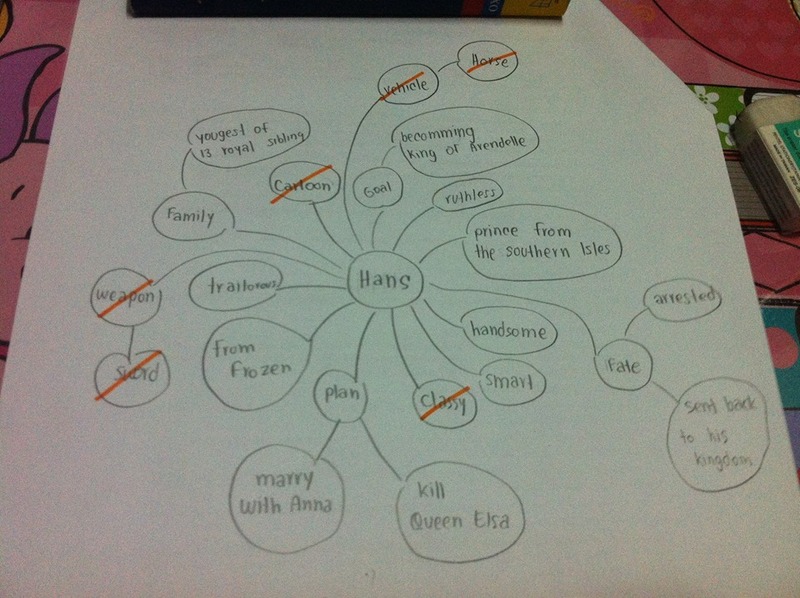 Brainstorm by making a mind map about each of them and editing it. Then write a paragraph about each of them. Writing about things we feel strongly about can see very good or very bad writing. Writers should be careful when writing about topics they like or love. Often such topics result in bad writing. Writing about topics that people dislike or hate often results in good writing! 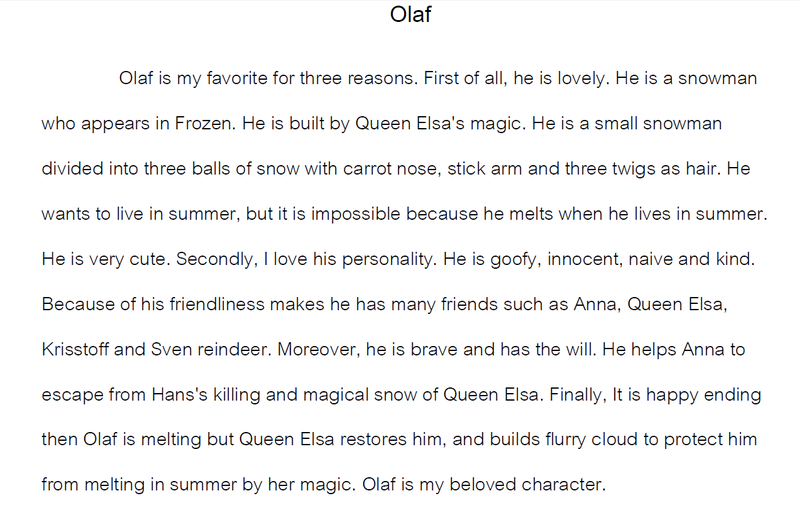 The writing example for unit 4 is Hans and Olaf. Click on the images to see larger pictures. This is more creative. Usually writers choose real people! 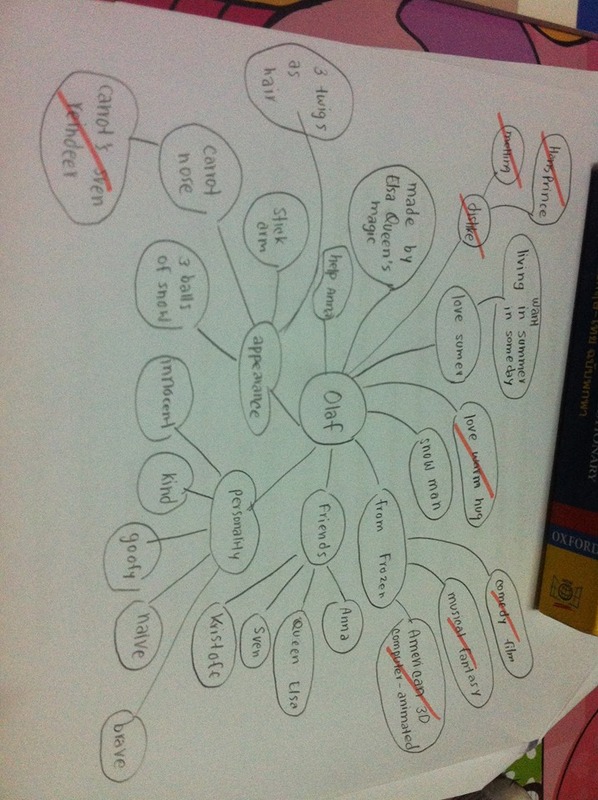 In unit four we learn about mind maps. 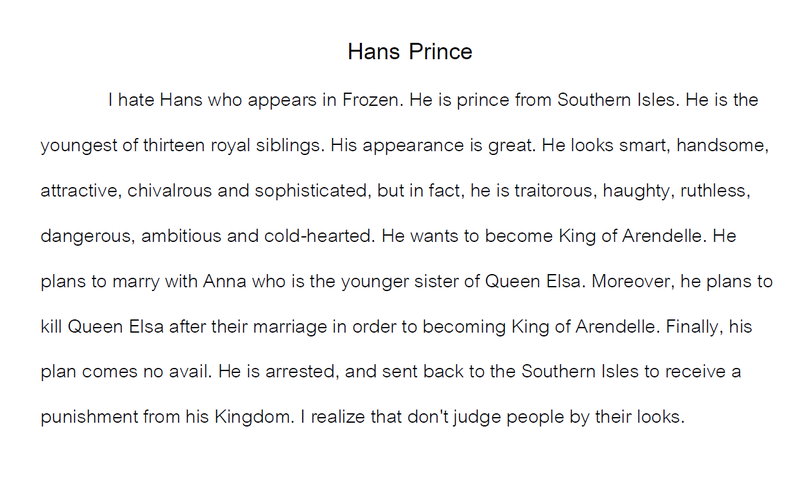 These examples show a mind map and paragraph for Hans and Olaf. Both of these pieces of writing show use of descriptive adjectives and tell a short story in each case. The writing in both cases is OK.
We also have writing examples at sentence level. You can view these here.